You know the other day I was saying I had not seen a good old fashioned cult film in a while. By cult I mean religious. They were all the rage years back. Bad Dreams, Lord of Illusions, heck even Drive Angry. 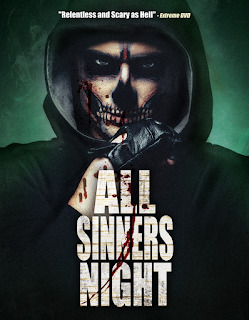 Well that changed the other night when I sat down and watched All Sinners Night! 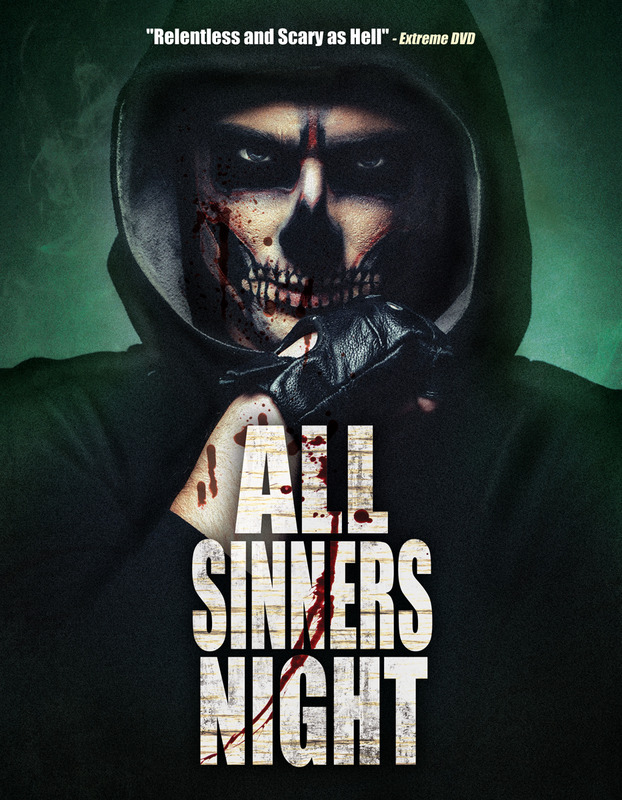 All Sinners Night is a gem of an Indy film to say the least. It starts out with a reporter named David Shipman who's wife comes home on Halloween wearing a see through type mask. She greets him by shooting herself in the head. We flash forward a year and meet Lana Williams. Her bother Daniel went missing last Halloween, the same time David's wife commuted suicide, and has not been seen since. She is convinced that his disappearance and David's wife's suicide is the work of a religious cult. David has his suspicions as well and has been researching satanic cults for a while. The 2 decide to work together to uncover what is going on. To make thing stranger a traveling reverend is in town, as Halloween is evil, and he appears to actually posses supernatural powers. Know people names,and horrible facts about there past. This film has a charm about it to say the least. From the first shots of yards decorated with Halloween props, and big shout out to the cinematographer as I own several of these same decorations The soundtrack is great as you need some good hard music to take you back to a time when heavy metal and Satanism went hand in hand. The score is fantastic, haunting and moody. The acting is very well done as well. There are actually times I feel like I'm watching an old fashioned Giallo Its so well crafted. If you like the mystery/horror/cult films of the 70s and 80s this is a really good film to watch. If you simply in the mood for a nice creepy film then it's for you. I plan on watching this again in the fall when it gets colder so I can open the windows to get that full effect of Halloween style horror.